The Gabby Douglas Barbie has finally arrived! With all the Gabby Douglas endorsements in the works, what could be more irresistible than a Gabby Douglas doll? Dollmakers across the country were drooling over what the doll will look like. 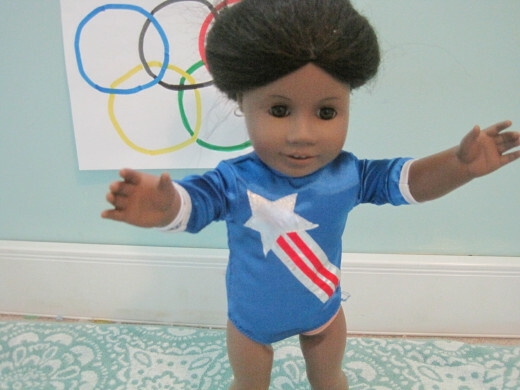 Doll enthusiasts at Americangirldollsforever.blogspot created a Gabby Douglas doll out of American Girl Doll Abby in previous years, when she won the gold in 2012. They outfitted her in a gymnastics suit, tied her hair back the way Gabby Douglas does, and placed the Olympic symbol behind her. 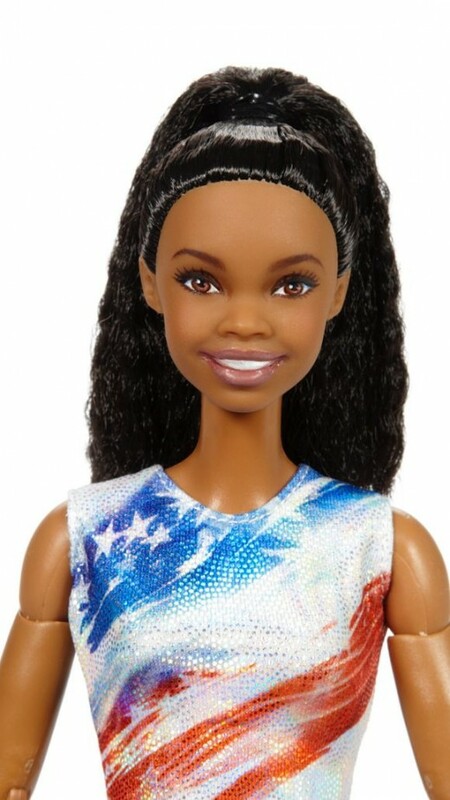 But Mattel is now coming out with a Gabby Douglas Barbie from their SHERO line. How exciting for little girls across the country and for the gymnast herself! As we thought back in 2012, the Gabby Douglas doll was more likely to be made by Mattel and, similar to a Barbie doll, have arms and legs that can be moved. She might even have accessories available such as a balance beam and interchangeable outfits. But she won't come with her 2012 Olympic Gold Medal necklace, unless that is added later. The Barbie will have a long, black wavy pony tail, a short metallic red, white, and blue gymnastics suit on, and lovely, subtle makeup including lavender lipstick. 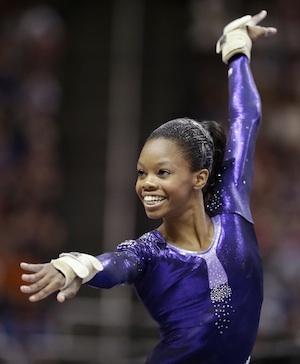 Little girls everywhere can make pretend what it would be like to reach for the stars just like Gabrielle Douglas did. A big toy maker finally worked on this years after 2012! Why is Gabby Douglas so Marketable? She's the all-American girl. Gabby is upbeat, proper, young, athletic, and speaks to a generation that is growing up during tough times. She also is a beacon of light for a country that is still suffering from economic hardships. 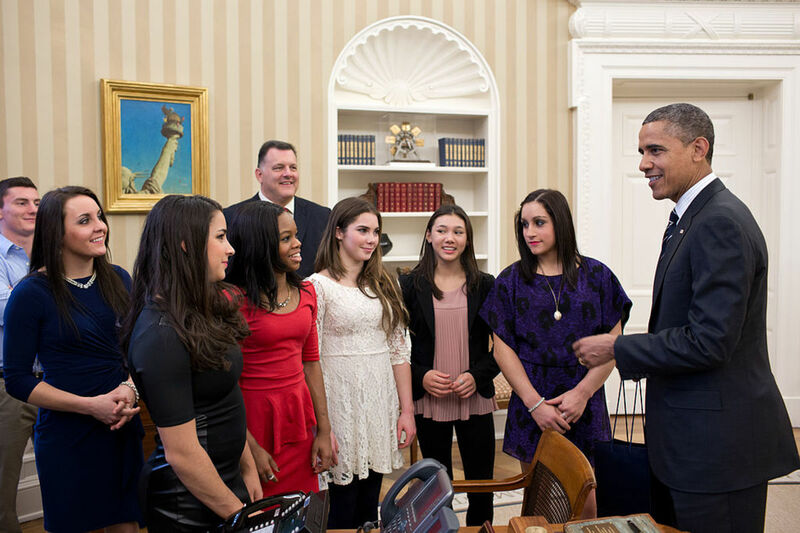 Gabby is also a symbol for young kids and teenagers to believe it themselves, set a goal, and work hard at it. With all the negative influences thrown at us by the media, our Olympic medal winners are exactly the types of role models we need and should be encouraging. The Kellogg's Corn Flakes endorsement was just the beginning. She is likely to do footwear, fashion, and gadget endorsements (like a cell phone or iPod), among many others. But we will be the first in line to buy a Gabby Douglas doll!